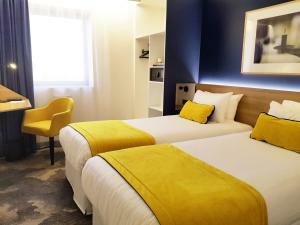 Hotel Timhotel Berthier Paris 17 is located in north-west Paris, just 50 metres from Porte de Clichy Metro and RER stations. 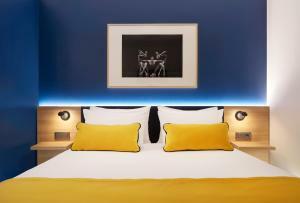 It offers elegant soundproofed guest rooms with air conditioning and free WiFi and an on-site restaurant. 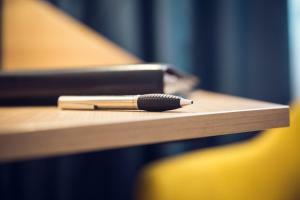 Each room is equipped with an LCD TV with satellite channels, a desk, a safety box and tea and coffee making facilities. 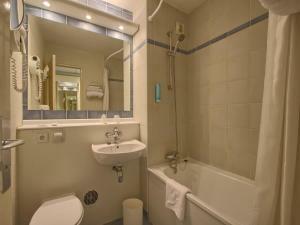 The private bathrooms feature a bathtub and a hairdryer. A buffet breakfast composed of sweet and savoury dishes such as pastries, fruits, eggs, diary products and cold meats is served every day. Homemade crepes are also on offer. For lunch and dinner, guests can enjoy a self-serve buffet from Monday to Friday and snacks on weekends. Front desk is open 24 hours and offers ticket service. 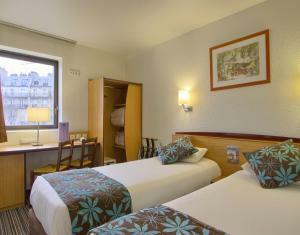 The hotel is 2 km from the Moulin Rouge in the famous Montmartre district. Private underground parking is available on site. Porte de Clichy Metro and RER stations provide direct access to the Eiffel Tower, the Champs Elysées and Notre-Dame Cathedral. If you are unable to show the credit card used for booking a non-refundable room, please contact the property in advance to organise payment. When booking half board, please note that drinks are not included. Guests are required to show a photo identification and credit card upon check-in. Please note that all Special Requests are subject to availability and additional charges may apply. 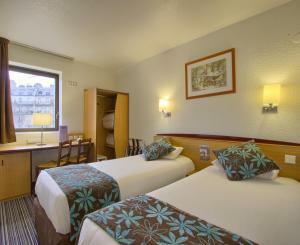 This room includes air conditioning, free WiFi and tea and coffee facilities. The private bathroom has a bathtub. Please note that the parking maximum height is 1.90 metres. 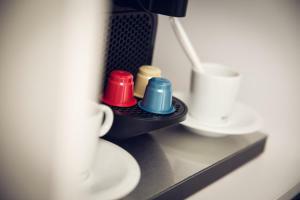 This room includes air conditioning, free Wi-Fi and tea and coffee facilities. The private bathroom has a bathtub. 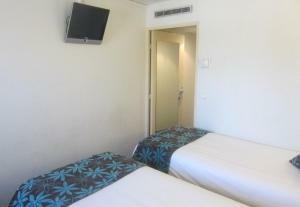 This room consists of 1 double room and 1 twin room for two adults and two children under 16 years old only. 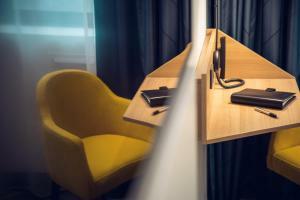 Connecting rooms depend on the availability. A baby cot can be added in one of the rooms, on request. Please contact the hotel. 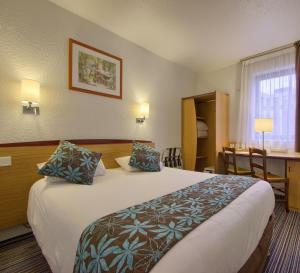 This deluxe double room features a USB plug and a flat-screen TV. 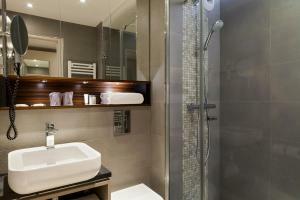 The private bathroom has a shower or a bathtub. 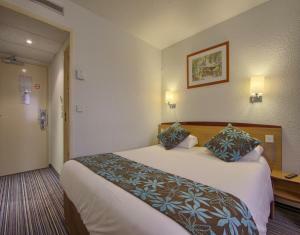 This deluxe twin room features a USB plug and a flat-screen TV. 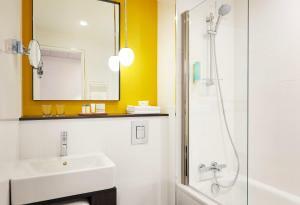 The private bathroom has a shower or a bathtub. 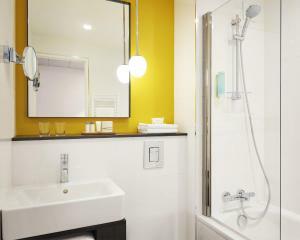 Rate: € 64.80 ... € 277.00; select dates below to get current rates. This twin room has a bathrobe, soundproofing and minibar.